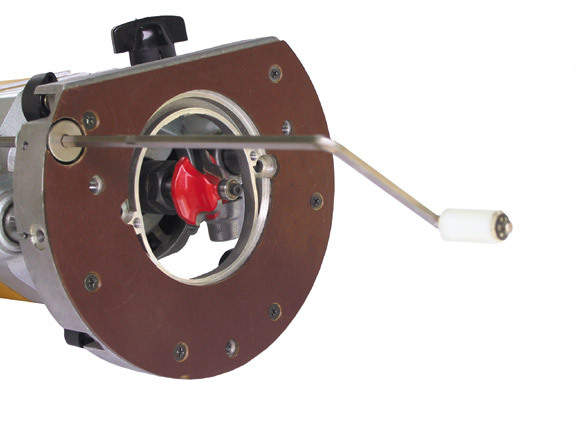 Tired of fighting aftermarket or stock knobs and cranks under the table and not having enough hands? 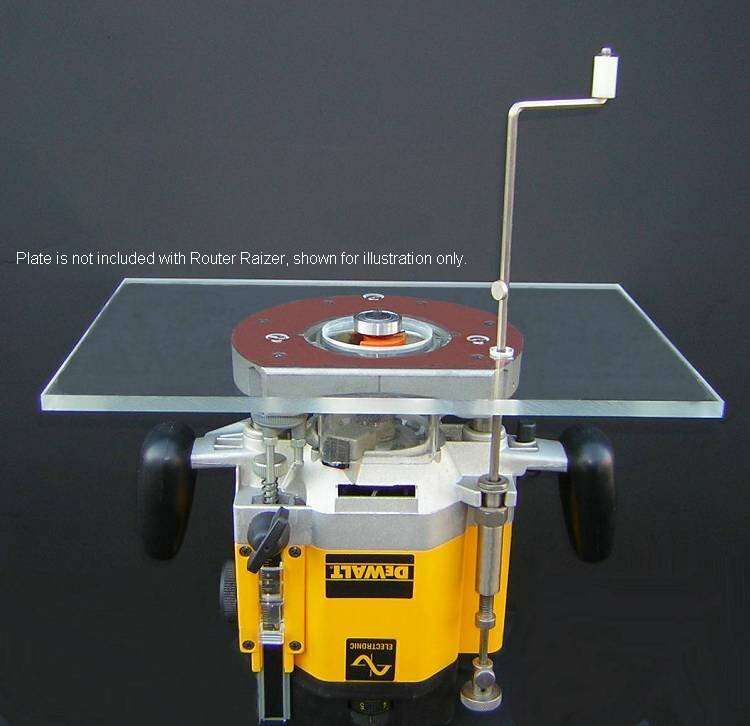 Come enjoy the benefits of the Router RaizerTM for adjusting your plunge router from the top in any table!!! You can click on any of the links on the left to take you to the product or page you wish to view. The fastest most versatile height adjustment system available for your plunge router!! 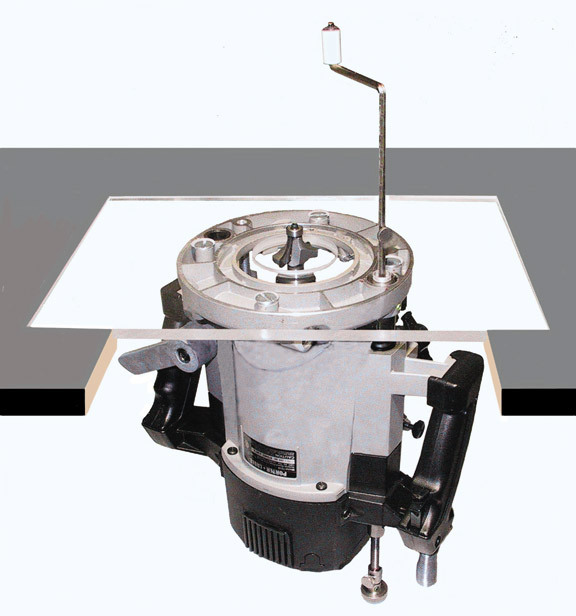 Table mounted adjustments are as fast and easy as a shaper for a fraction of the cost!! The Router Raizer turns almost any plunge router into the easiest to adjust router around. It fits over 18 different models of routers from 9 different manufacturers. By replacing the original height adjustment system it becomes an integral part of the router. By doing this we allow you to retain all the functions ( plunging, turret depth stops) the router came with as standard. There is no need to remove the springs which allows quick usage of the router handheld. This allows the router to function equally well handheld or table mounted with the same speed and convenience. 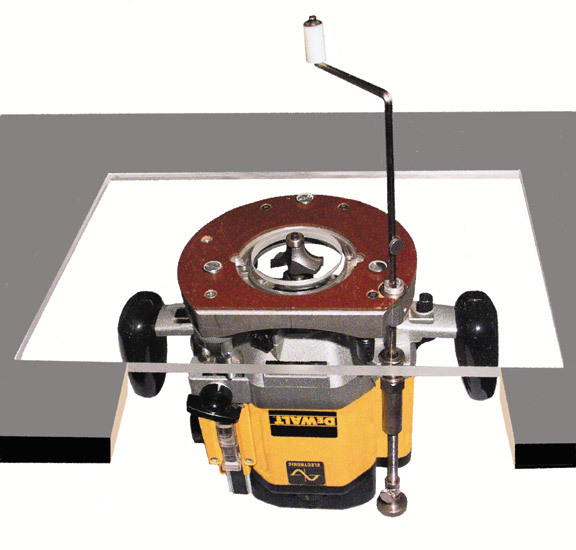 The Raizer can be used with your choice of any lexan, phenolic, aluminum or steel router plate. Use it in any router table with no modifications to the table for another type or style of insert and make height adjustments quick and easy from the top of the table. 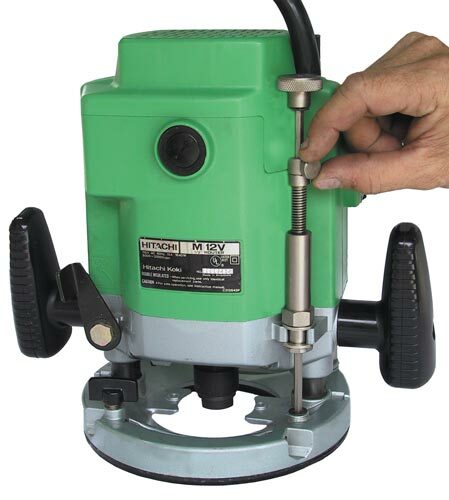 Simply drill a mounting hole for the dust plug ring in the insert or table with the included templates and crank away. 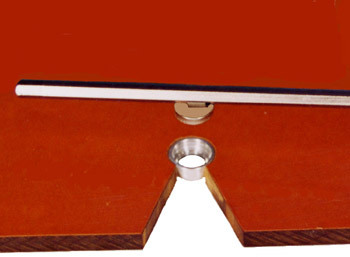 When the bit height has been set, the dust cover can be quickly installed to eliminate dust getting into the drive recess. When handheld you won't believe how much easier adjustments are when your eyes and hands are both on the business end of the tool. 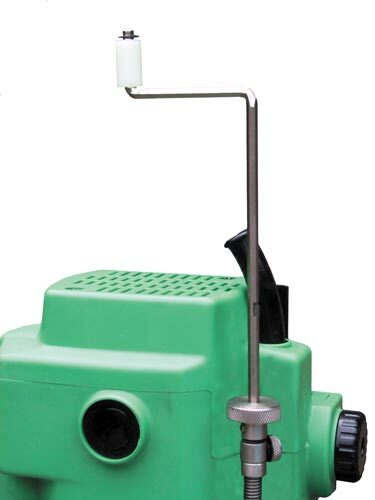 The knurled top adjustment knob works by itself or with the speed wrench for easy movement and makes raising or lowering the bit an absolute joy. 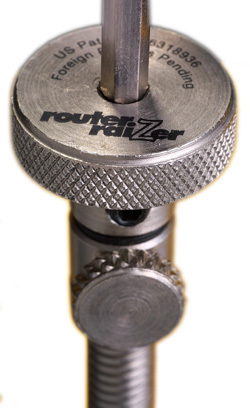 The Patented Router Raizer is the newest way of adjusting plunge routers. 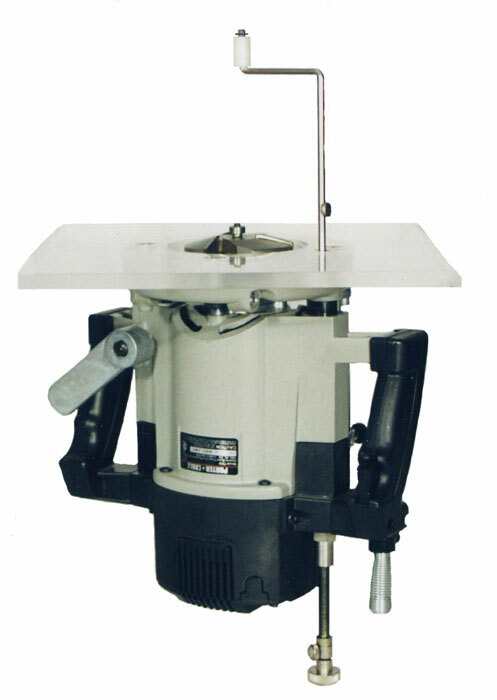 Unlike other products it does not require a special table insert or re-machining your table to fit that insert. 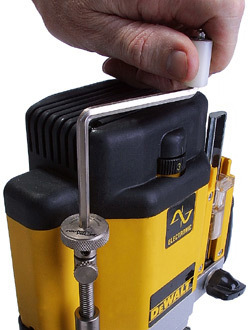 You can use any standard table or insert from 3/16 to 1/2" thickness from any source and all the parts that come with the kit will fit and function perfectly. The Router Raizer is actually installed into the router replacing the existing height adjustment system and becoming part of the router itself. This means it works just as well handheld as it does in the table. It also allows those of you with only one router to easily move from task to task. When using the router in a table a small manhole (dust plug) is installed in the table insert to keep dust and debris out of the drive coupler in the bottom of the router. For convenience a small magnet has been placed in the side of the wrench for removing and installing the manhole cover. This makes it quick and easy to gain access for adjustments but still keeps the dust out. The speed wrench in the kit works like the speed wrench that comes with socket sets and allows you to adjust the depth of the bit quickly. The wrench includes a spinner handle that is easy on the hands. The same wrench works in both the top and bottom drive couplers so there is no need for extra tools. TIP: If you would like to bend your wrenches to help make it possible to change bits from the top of the table we have drawings available on the instructions page to help you determine where and how much to bend them. They are in PDF format and can be downloaded and printed. Works with any router table or insert. Becomes a permanent part of your router. At 1/2 lb. installed adds no weight to the router. The only system allowing height adjustments from the top or bottom of a plunge router without buying an insert. 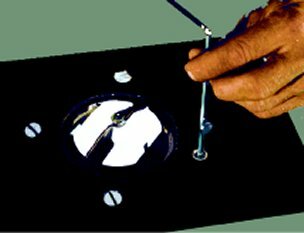 Complete installation instructions with mounting hole templates included. The Raizer kit comes complete with all the various parts to allow it to be installed in the routers listed. 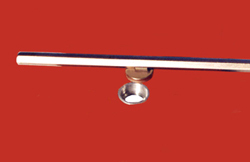 Allows simple depth of cut adjustment from the top of the table when mounted in a table. 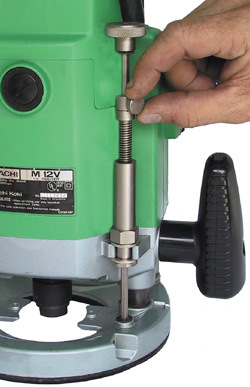 The speed wrench is inserted through the manhole installed in the table and engages the drive recess to operate the height adjustment. Adjustments work equally well when used hand held. The same adjuster points can also be used when the router is used handheld for quick and easy depth of cut adjustments. All of the original plunge functions of your router are still available for handheld use. You can still use your turret depth of cut stops. No disabling of this function is required for installation. Use your existing router table insert plate, no need to buy an additional plate. Wrench can also be used in the top drive. 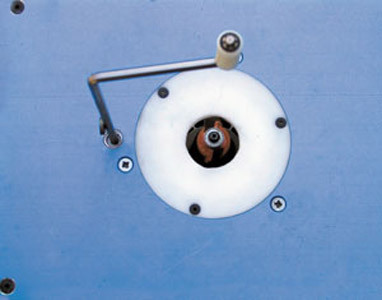 These photos show the small manhole ring and cover which are installed in the table insert. for access to the drive coupling. Copyright 2000-2001-2005 Router Technologies Inc.